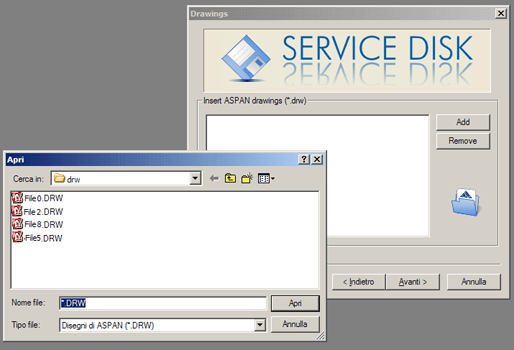 Throught the Service Disk procedure of ASPAN, is possible to receive an accurate assistance on the problems encountered, without the need of a direct intervention to the user, as it allows our technicians to riprodune the working environment of the user. 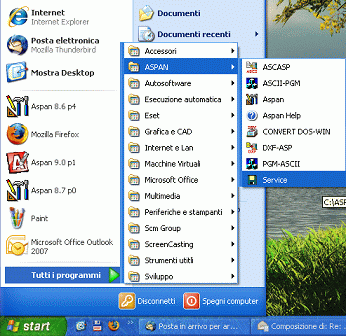 For technical problems encountered during use of the program is always preferable to send a service disc from your installation of ASPAN before contacting technical assistance. 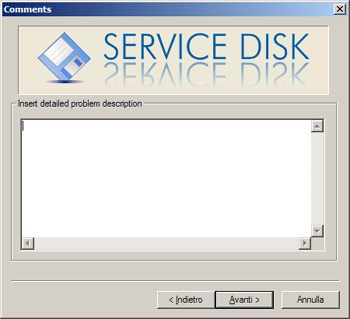 If you are using a release earlier than ASPAN 7, start the service-disk procedure with the apposite icon (SERVICE) located in the programs group created by ASPAN in your Windows start menu. 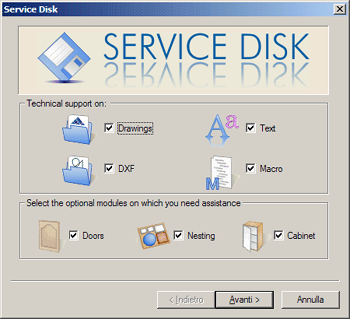 If the service disk has been requested for the creation of an update/installation CD, select any drawing in your archive. If the service disk has been requested for the creation of an update/installation CD, just specify "update". 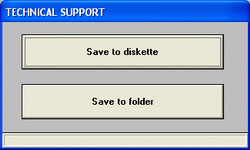 Select the "Save to folder" option to temporary save the service disk in a local folder. 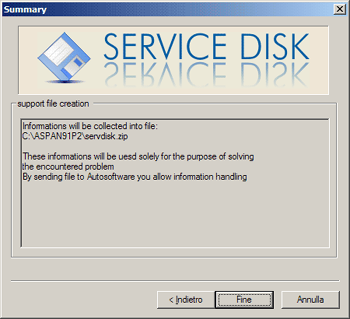 Now it is possible to send the file "ServDisk.zip" to the technical assistance as shown in the succeeding dialogs. select the files that you want to send to the technical support, depending on the problem experienced (drawings, dxf, opitonal modules data, etc...) enabling the apposite checkbox. Click Next> to proceed. write a DETAILED description of the problem and list all the steps needed to reproduce it. 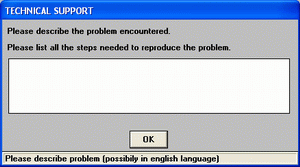 Once terminated, click Next> to proceed. 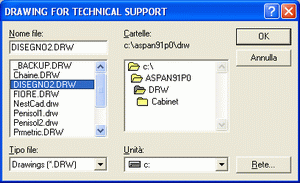 Add files to be included in the service disk using Add button. Click Next> to proceed. Select the destination folder where you want to create the file (ex. Desktop). To modify the destination use the Browse button, than click Next> to proceed. Before creating the file, a "Summary" dialog will be shown. Click End to proceed with the creation of the file. 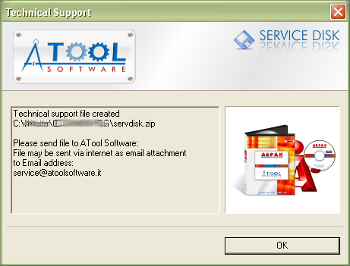 Now it is possible to send the file "Servdisk.zip" to the technical assistance as email attachment.